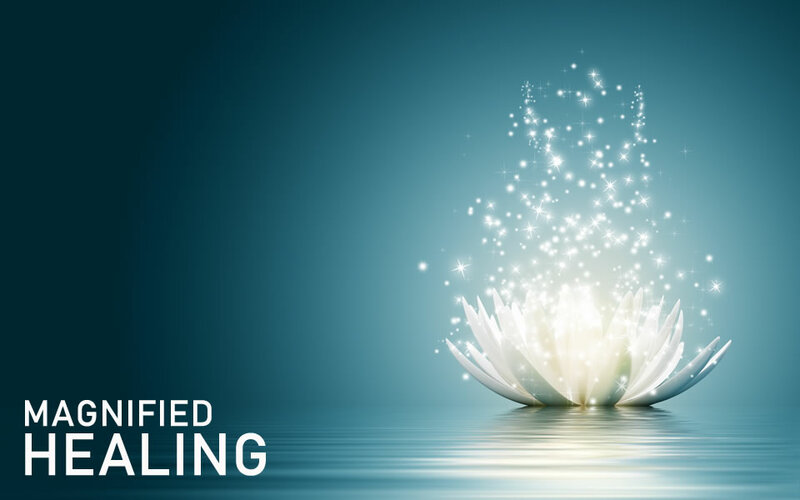 The Magnified Healing course teaches a powerful healing modality based on the energies of Kwan Yin, goddess of compassion and mercy, and master of healing. The learning and practice of Kwan Yin’s Magnified Healing incorporates all aspects of self (physical, mental, emotional and spiritual) using Sacred geometry, breathing, affirmations and gentle energy for transformation. This 5th dimensional healing modality is accessible to everyone who is called to self-healing and assisting others in their healing. You also receive a bottle of essences (solution) and the Magnified Healing Master-Teacher manual and certificate. After 11 days of Magnified Healing on yourself at home, you become a Master Teacher of Magnified Healing and are entitled to teach the workshop to all who want to learn!